A Personal letter is sent from one individual to another individual or organisation in order to address matters of an informal nature. They differ from formal types in that they can be used to express personal feelings and depending on the relationship between the sender and receiver do not require formal concise language. We offer three tools to help you put it together; our Free Guide, our Service or our Templates. 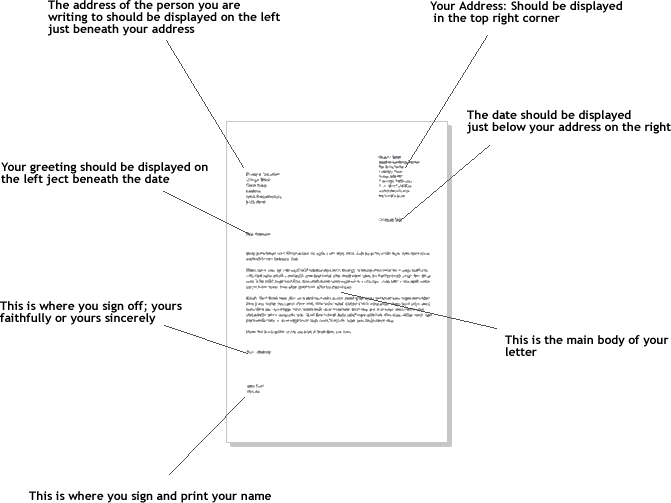 The example below details the general layout that a personal letter should conform to. Each aspect of the is detailed more fully below the image. You must always remember to include your own address on the top right-hand side of the page. This will enable the person that you are writing to, to be able to reply. This address should be displayed beneath your address on the left-hand side, remember to include the name of the person that you are writing to. The salutation should be followed by the surname only (not the first name). If you are familiar with the person that you are writing to then it may be more appropriate to include their first name rather than using their title. This is a decision that you will need to make based on your relationship with the person in question. You should conclude with the words: “Yours sincerely,”. Sign your name, then print it underneath the signature. 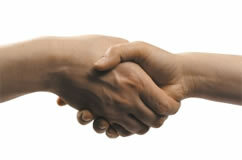 You may wish to conclude with something more friendly e.g. “All the best”, “Best regards,” etc. Consider your relationship and familiarity with the person or organisation with whom you are writing to and adjust the level of formality accordingly. Expressing Yourself – Write by hand; your penmanship is a piece of you and by writing by hand it gives the recipient something completely unique and special. Mementoes – Enclose a photo; in some circumstances your recipient might have forgotten about or never have seen you. Alternatively enclose a memento of a shared experience (these can be photocopied, rather than sending the original). From the Heart – Remind your recipient of your shared experiences; or share one thing about that person that you admire, compliments can go a long way to building on relationships. Avoid Email – Email has made it easy to jot down a few words, spell check and hit send. When handwriting use conventional snail mail, obviously checking for spelling and grammar. Know what you are going to say and how you’d like to write it before you start, there is no delete button in real life. We have a great deal of experience with personal letter writing and as such are able to offer a great value service. If you feel that after reading our guide that you would still like some assistance please contact us. We are able to offer templates to suit all formats. Our personal letter templates are completely free and provide the ideal solution to enable you to easily put together your own personal letter.